Anabolic RX24 Review (2018) is It Just Another Scam? Because testosterone naturally declines with age we need to work harder to stay in shape the older we get. That’s why more and more guys are turning to testosterone boosters to improve their health and fitness. Unfortunately, there are a lot of scammers making claims about their products that aren’t backed by research. One product that makes big claims is called Anabolic RX24. In this review we’re going to take a deeper look at the research and customer reviews behind this product to see if it’s overhyped or worth adding to your supplement stack. The Quick Review: Anabolic RX24 is a complete waste of money. It won’t boost your testosterone levels or make any difference to the way you look and feel. There also seem to be a lot of fake reviews trying to promote this one so don’t fall for it. Buying this would be the same as flushing your money down the toilet as the ingredients just don’t back up the claims. Anabolic RX24 claims to use “natural antioxidants” and “safe testosterone complexes” to increase your body’s testosterone production. However, a Google search reveals unethical marketing techniques used to push this supplement. The official website has a banner at the top claiming that Men’s Health and FHM has featured them, which is not the case. There have also been reports around the internet of websites with similar names and designs to Men’s Health posting ads for Anabolic RX24 and posting fake reviews to make it seem like Anabolic RX24 works. However, the dosages of each ingredient aren’t listed on. 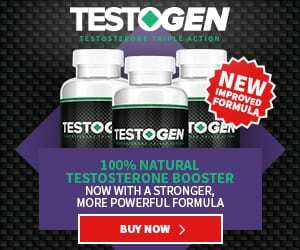 Without knowing the amounts of each ingredient, it’s impossible to know if there’s enough of each herbal supplement to affect testosterone. RX24Enhancer.com sells a four-month supply of Anabolic RX24 for 38.95 Australian dollars but doesn’t ship to the United States or Canada. They also provide a banner that suggests a high Amazon.com rating, but a search on Amazon shows that this product doesn’t have any ratings. Figure – No Link to Amazon provided. The website Biotrimlabs.com also sells this product for $22.38 USD (marked down from $55.95), but they require a monthly membership of $9.95. Here are the ingredients listed on the BioTrimLabs website with a quick summary of the findings of each. The company lists 742mg of total herbal supplements in each capsule, but the breakdown of each ingredient isn’t clear. Horny Goat Weed Extract: No benefit has been found for athletes or other people looking to build muscle. Tongkat Ali Root Extract: One study shows that Tongkat Ali has the potential to decrease circulating amounts of stress hormones and improve testosterone levels in people with chronic stress. However, research doesn’t support its use for muscle building (1). Saw Palmetto: One study found that regular consumption of Saw Palmetto did not affect the testosterone levels of healthy men (2). Wild Yam Root Extract: Wild yam extract is thought to mimic estrogen in the body, but there isn’t enough research to support its ability to alter estrogen and testosterone levels (3). There’s also no research to support its use for bodybuilders or athletes. Sarsaparilla Root Extract: There is no research to back Sarsaparilla root extract as an anabolic substance. Any muscle building claims from supplement companies are falsified. Nettle Root Extract: Studies on humans don’t support the usage of urtica dioica (the plant nettle root extract comes from) for increasing testosterone and for gaining muscle. One study showed that taking urtica dioica for six months didn’t improve testosterone profile (4). Boron Amino Acid Chelate: The preliminary research on Boron as a way to increase testosterone looks promising. One study found that because of its high bioavailability, boron can increase testosterone levels within hours (5). The product description claims that the ingredients are natural. Preliminary research on boron for increasing testosterone looks promising. The company uses misleading marketing to push their product. There is a lack of positive, genuine reviews on the internet. It isn’t clear how much of each ingredient is in this product. Most of the ingredients don’t have research to back them. Even though Boron may have research to back it, there’s no dosage listed for this product. It’s difficult to impossible to find any genuine reviews about this product on the internet. Doing a Google search brings up many spammy marketing websites claiming that this product can revolutionize your workouts, but there are no reviews on bodybuilding.com, Amazon.com, or other trustworthy distributors. Where can you buy Anabolic RX24 and how much does it cost? You can buy Anabolic RX24 from either RX24Enhancer.com starting at $28.95 Australian dollars per bottle or from Biotrimlabs.com for $22.38 per bottle plus a monthly membership to the website for $9.95/month. Both websites seem to be owned by the same company. How do you take this supplement? You should take one supplement in the morning and one before your workout. If it’s not for me, can I get my money back? According to the terms and conditions on the RX24Enhancer website, you can get your money back within 30 days of the original purchase. Anabolic RX24 is definitely not worth your money. Not only does the company use unethical marketing techniques to sell their product, but they also make large claims that can’t be backed by research. Of the seven ingredients listed, only one has research to support potential benefits for increasing testosterone in healthy men. There are plenty of testosterone boosters that can help you get the body you dream of, but this isn’t one of them. Do yourself a favor and skip Anabolic RX24 and buy one that actually works instead. Dietary and workout adjustments, specifically limiting sugar/fructose, eating healthy saturated fats and taking part in high-intensity exercises as well as stamina training, can be very effective at increasing testosterone degrees normally.